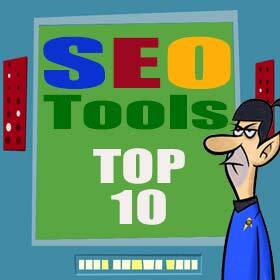 There are a number of SEO tools available for you out there. Those tools typically automate time consuming SEO research and monitoring tasks for you. They'll analyze your page content for specific keywords, and give you tips how to improve your search ranking for the given keyword. They'll monitor your rankings for your most important keywords. You'll see which keywords you're ranking high for, and you'll see ranking changes. Pay attention how many keywords are allowed at specific price points, you'll find great differences between some of the SEO tools below. They'll show you who is linking back to your site (inbound links), including important information like anchor text of links, site authority, and more. They'll help you to find back link opportunities. Some track mentions of your brand keywords on other web sites and social media sites. Some help you to manage your SEO projects, including managing customer projects for SEO agencies and consultants. You'll be able to export results into PDF, csv or Excel reports, some brandable, some not. If you are looking for the best SEO tools that you can try for free, here's a list of the 10 premium SEO tools that you can check out at no cost! They have a limited trial that's completely free, and a full trial for just $1. Paid plans start at $49. 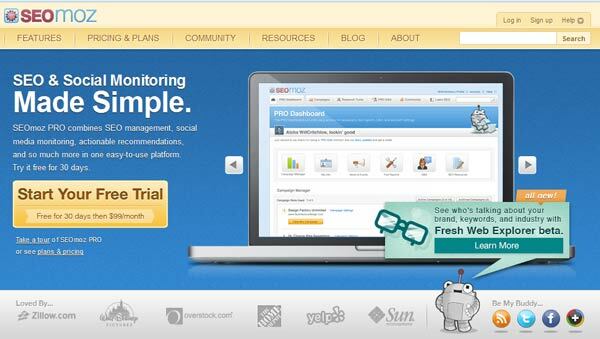 SEOmoz has a 30 day free trial offer with complete access to their SEO tool-set. After their free trial ends, plan starts at $99 a month. Do not miss their for members-only resources. After going to your Pro Dashboard, simply scroll down to see their PRO resources that includes discounts for members, webinars and a list of their top directories where you can submit your website. SEOmoz is also known for having one of the most complete feature sets among SEO tools, and for a Q&A forum where lots of professionals (and a few 'not so professionals') are ready to answer your questions. Plans start at $99, twice as much as SEO profiler, but the forum might be worth the extra cost. 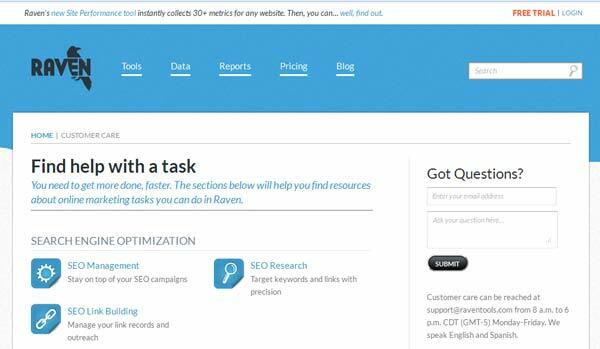 Raven Tools has a 30 day free trial offer for their internet marketing tool-set. After their trial, plans start at $99 per month. This will cover unlimited websites and projects. They are known especially for their link management tools. However, they offer several other tools as well. These will help you with almost everything in your internet marketing campaign. One feature that makes them stand out from most others on this page is management of PPC campaigns. Authority Labs allows you to keep a track of your keyword ranking across multiple domains. Compared to the tools above the feature set is limited. This tool offers a 30 day free trial period, no credit card required. After the free trial, plans start at $49 per month. This allows monitoring of 250 keywords over 50 domains. Whoosh Traffic is a keyword ranking monitoring tool. It offers a 30 day free trial. After the free trial, pricing from $49 for 300 keywords monitoring in unlimited domains. Moreover, you will receive unlimited email alerts telling you about your rankings. In addition to their keywords monitoring tool, they offer other SEO tools within beta. 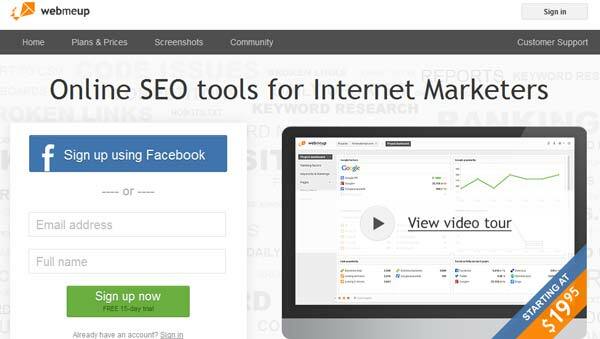 WebMeUp is a specialized SEO dashboard tool currently in beta. It comes as a 15 day free trial, after which plans start at $19.95 per month. While this is incredibly cheap, the cheapest plan is limited to 1 domain and only 50 keywords. The WebMeUp tools allow you to check traffic, search social metrics for your site along with other competitors. 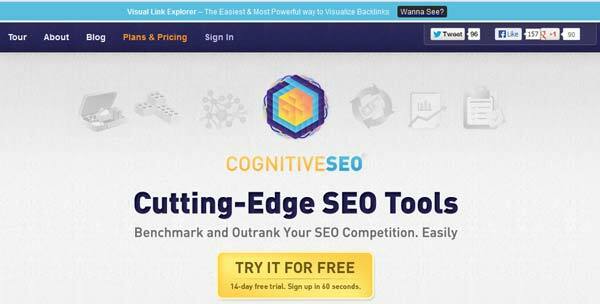 CognitiveSEO offers a 14 day free trial period for their link analysis tool-set. After their trial ends, pricing begins at $19 per month. This tool is great for both small businesses and bloggers alike. They'll include some unique features like classifying links and websites into groups, for example forums, blogs, press release etc. They'll also offer To-do list management and Campaign management for agencies. SEMrush is a keyword or PPC research tool which does not normally come as a free trial. However, if you click on begin your free trial option, you can receive a 14 day free trial for their tools. After this offer ends, you can subscribe at $79.95 per month. This tool is great for content research. One feature you won't find in the other tools here is spying on competitor's ads. 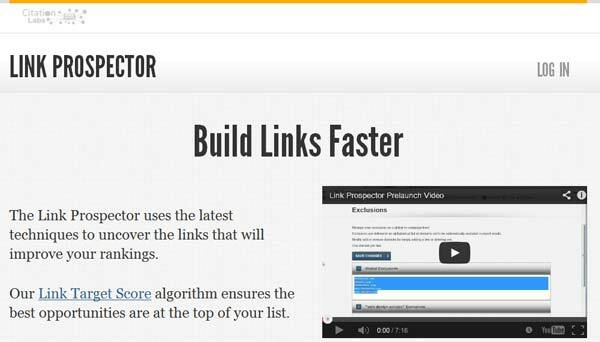 Link Prospector is one of the most powerful discovery tools for building link opportunities. The free trial is a single free credit. You could use it for discovery reports of your choice. Also, you can utilize this tool to locate various types of links, ranging from topical blogs to directories. This tool is very different form the other tools on this page. It won't replace any of them, but instead offers a unique approach to finding back link opportunities. MajesticSEO is great for basic functionality. It is a link research tool. This tool offers a free account that'll allow you to run a detailed report on your own website. It's well known for its back link research tool site explorer, but it offers limited access to other tools. Remember, if you do not do SEO work for a living and want to carry out some important search marketing work for your website, you are in luck with the above cheap and free tools! Give them a try, and later decide on the one that'll give you the best value long term. Or you could sign up for one tool per month, and thus get continous information on your sites for a full year for free while learning the ins and outs of search engine optimization. Nice post, this is very important to the people who are doing seo. and i know a new backlinks checker to help promote websites, http://siteexplorer.info is totally free and no limit, and it is very professional. Thanks for suggesting Siteexplorer. I gave it a try, and I find it's really putting together a lot of useful information. You can use WordPress without any coding. For any problem you might have while using it, you’ll find tutorial videos on YouTube. I highly recommend WordPress, you won’t find a better blogging system.